Exposición organizada por el San Francisco Museum of Modern Art y la Tate Modern. Patrocinada por Trellis Fund y la Phyllis C. Wattis Foundation. 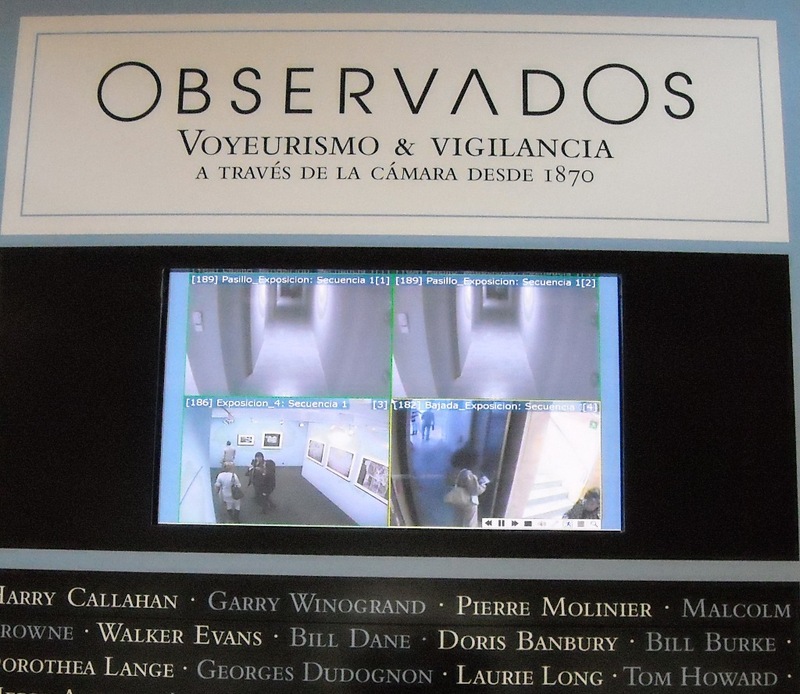 An exhibition in the Fundación Canal in Madrid, roughly the same as the Exposed: Voyeurism, Surveillance and the Camera exhibition at Tate Modern. Desde el punto de vista fotográfico el documento es mucho más importante que la calidad, el encuadre o la nitidez. 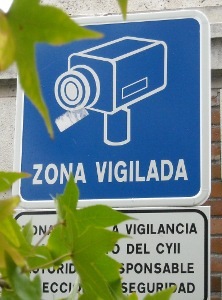 Los valores de la imagen caen en favor de “un robo” que demuestre la vulnerabilidad del personaje. Para conseguir estos “robados”, la mayoría de los fotógrafos se han servido de sobornos, escondites o enormes teleobjetivos. 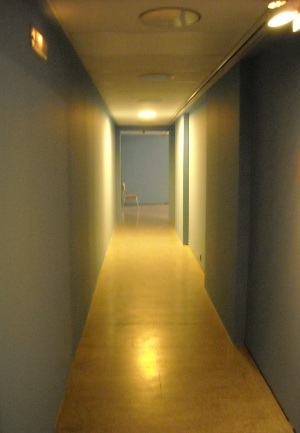 As you walk in, the first thing seen is a block of four surveillance camera images of the interior of the exhibition. 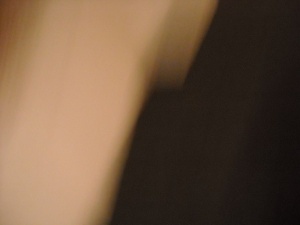 I took some covert photographs. This is the chair where one of the security guards was sitting. This is a photograph, taken surreptitiously, of a photograph, itself taken surreptitiously, of Queen Elizabeth II with her corgi dogs and a liveried dog walker. 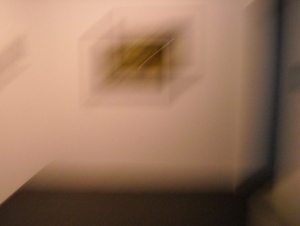 And finally, a rather blurred snap of a security guard advancing on me saying “it is forbidden to take photographs”.